Our cellular monitoring devices not only allow monitoring of conversations, identification of telephone numbers, etc., but also the locating of a target mobile phone with an accuracy of 2 m.
The PKI 1680 is a handheld device that has been developed for locating of mobile phones. It can be combined with our GSM monitoring systems PKI 1560 and PKI 1580. A directional antenna can either be worn on the body or inside the laptop bag. With our PKI 1560 or PKI 1580 you can identify the necessary reception channel, which must be manually entered into the GSM direction finder. In order to locate a mobile phone with the PKI 1680, the target phone must be in transmission mode, which is the case during a conversation. Alternatively, it can be switched into transmission mode with our active GSM monitoring systems PKI 1560 or PKI 1580 or with our IMSI catcher PKI 1620. In addition to its field strength display, the PKI 1680 furthermore offers locating via audio control by means of earphones, which is especially useful during covert monitoring operations. 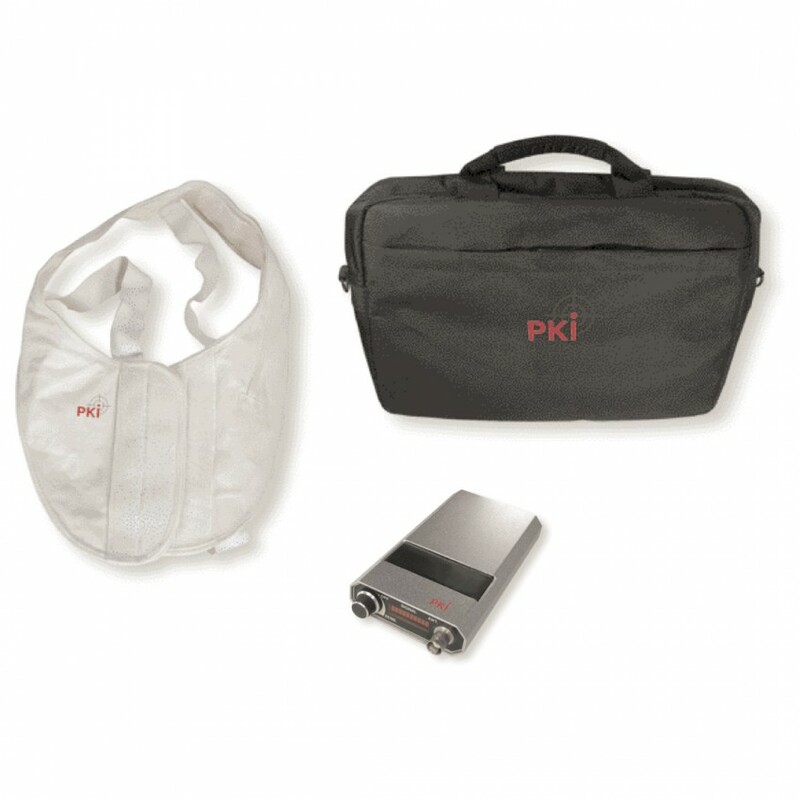 The operating range of the PKI 1680 covers the GSM frequencies 900 (channel 1 to 124), 1800 (channel 512 to 885) and 1900 MHZ. Handheld device, antennas, charger, headphones.